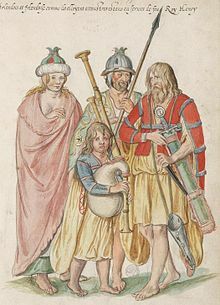 Gaelic Ireland (Irish: Éire Ghaelach) was the Gaelic political and social order, and associated culture, that existed in Ireland from the prehistoric era until the early 17th century. 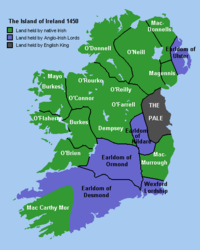 Before the Norman invasion of 1169, Gaelic Ireland comprised the whole island. Thereafter, it comprised that part of the country not under foreign dominion at a given time. 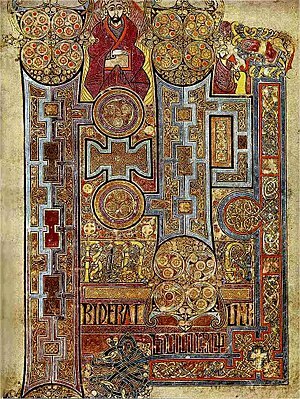 For most of its history, Gaelic Ireland was a "patchwork" hierarchy of territories ruled by a hierarchy of kings or chiefs, who were elected through tanistry. Warfare between these territories was common. 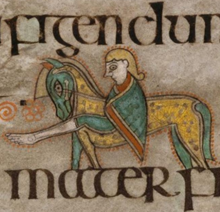 Occasionally, a powerful ruler was acknowledged as High King of Ireland. Society was made up of clans and, like the rest of Europe, was structured hierarchically according to class. Throughout this period, the economy was mainly pastoral and money was generally not used. 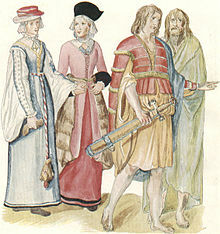 A Gaelic Irish style of dress, music, dance, sport, architecture, and art can be identified, with Irish art later merging with Anglo-Saxon styles to create Insular art. Warfare was common in Gaelic Ireland, as territories fought for supremacy against each other and (later) against the Anglo-Normans.Champion warfare is a common theme in Irish mythology. In the Middle Ages all able-bodied men, apart from the learned and the clergy, were eligible for military service on behalf of the king or chief. Throughout the Middle Ages and for some time after, outsiders often wrote that the style of Irish warfare differed greatly from what they deemed to be the norm in Western Europe. The Gaelic Irish preferred hit-and-run raids (the crech), which involved catching the enemy unaware. If this worked they would then seize any valuables (mainly livestock) and potentially valuable hostages, burn the crops, and escape. The cattle raid was often called a Táin Bó in Gaelic literature. Although hit-and-run raiding was the preferred tactic in medieval times, there were also pitched battles. From at least the 11th century, kings maintained small permanent fighting forces known as "troops of the household", who were often given houses and land on the king's mensal land. These were well-equipped professional soldiers made up of infantry and cavalry. By the reign of Brian Boru, Irish kings were taking large armies on campaign over long distances and using naval forces in tandem with land forces.